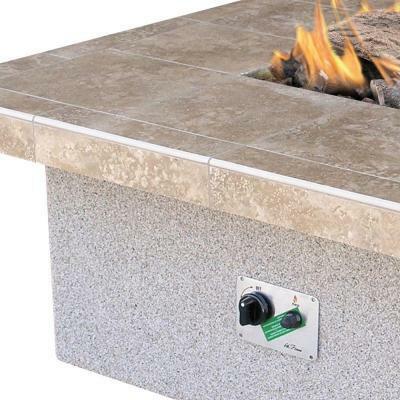 Enjoy warmth on cool evenings with the 55,000 BTU Gas Outdoor Square fire pit with Tile Countertop. 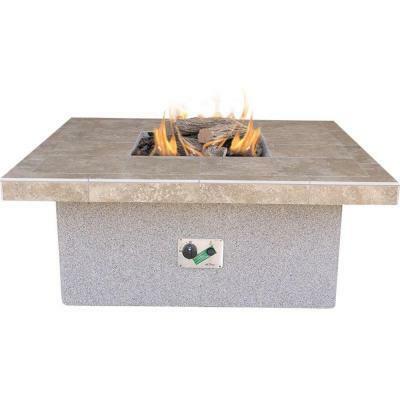 This striking square fire pit features a beautiful tile countertop, stuCCo base, fire log set and lava rocks. Liquid propane (LP) fuel tank is required. 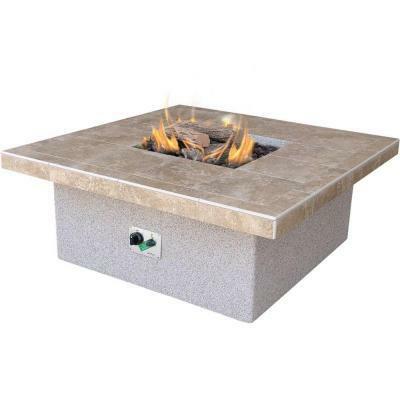 Dimensions: 48 in. x 48 in. x 20 in.